While up in the U.P. earlier this month, I stayed in a cabin on Coast Guard Point, just outside of Grand Marais. There were signs on the beach about the Piping Plover – apparently this little peninsula is one of the last breeding areas for this endangered bird. On the first morning I stumbled out of the cabin and saw two little shore bird chicks running by the front door and then scurrying off into the beach grass. Their concerned parent landed a short distance off, and started bobbing and wobbling around, almost like a Killdeer feigning a broken wing. 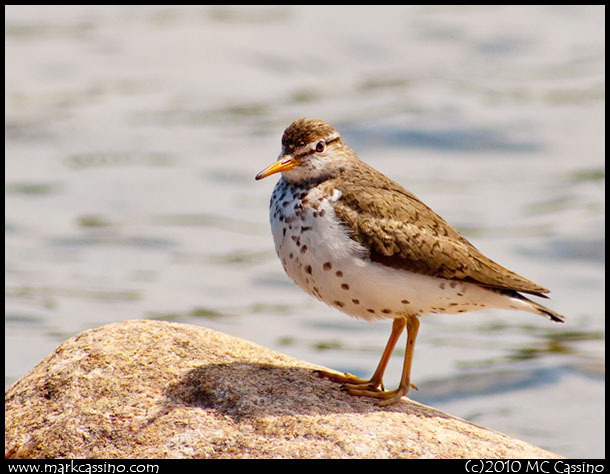 And so later in the week as I lounged on the beach and read, I made sure to bring a simple birding setup with me – Pentax K7 camera, Tokina 400mm f 5.6, flash and monopod. 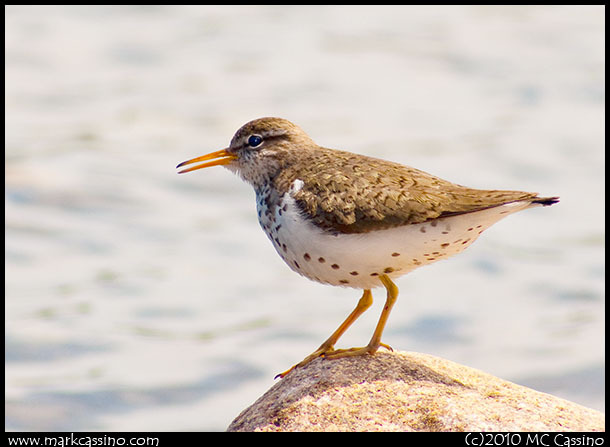 Ultimately the parent bird returned – but it was no Plover, just a Spotted Sandpiper. It was still a lot of fun to watch and I took a few snapshots as it bobbed on the rocks out in the bay. The little flash was not powerful enough to do much with fill lighting, and the lens has been clouded a bit inside due to fungus, but overall I was happy with these – the first few bird shots I’ve taken in several years. This entry was posted by mcc and is filed under Bird Photography, Michigan.